Here is my Amazon review of this book: James Romm’s book is a fascinating insight into Imperial Rome under Nero, and particularly, of course, of the complex role played in those times by the Stoic philosopher Seneca. Romm is more sympathetic to Stoicism than to Seneca himself, it must be said, and I do not have sufficient familiarity with the available historical record to judge the degree to which his attitude is fair. Nonetheless, he is not altogether hostile to the main subject of his story (always a bad sign in a biography), my reading being that Romm is attempting to correct some common misconceptions, and perhaps a bit too much of a romantic attitude, toward the Roman philosopher. Seneca does come across as a complex figure, torn between the ideals of his Stoicism (which was fought by a number of emperors, including by recurring to full scale persecution, murder and expulsion) and the many practical compromises he had to do as mentor and political advisor to one of the craziest rulers of all time. A must read for anyone interested in philosophy, politics or history. 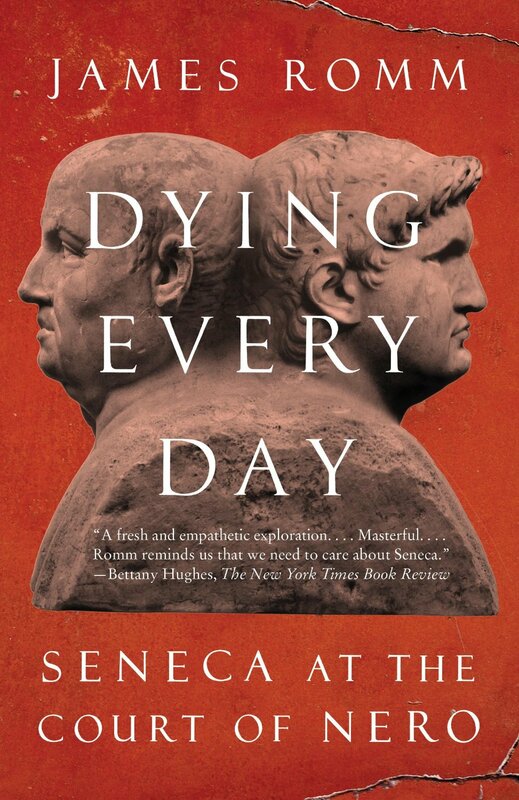 You can purchase the book here, and here is a review of it (and of another recent biography of Seneca) in The New Yorker. This entry was posted in History & Biographies, Seneca, other on March 6, 2015 by Massimo. I think that the complexities and contradictions in Seneca’s life is not only a consequence of struggling to adhere to Stoicism in a reality hostile to it, but also from, perhaps, his misgivings about the philosophy as such. If he really believed that one should “withdraw into oneself” and seek to be independent of the judgment and power of others, then he had plenty of chances to do so. Perhaps, after all, such a philosophical life in reality, was less to attractive to him than being a wealthy, powerful public figure (even advisor to Nero). Could it be -wildly speculating here- that he used Stoicism as a way to calm himself down -all is nothing in the end; be prepare to lose everything at any moment- while pursuing his power and glory? And could it be that he used the tension in Stoicism between free will and fatalism, to tell himself that it was the world, Nature, not really he, that willed his elevated position? What I mean is; could it be that his constant rumination on the foolishness and pointlessness of desire, was a way for him to manage his own ambitious soul, but that he failed to entirely convince himself of the Stoic arguments. This is not a critique, for doesn’t Stoicism go a bit too far in its celebration of self-sufficient, self-satisfied aloofness? Perhaps the life he chose was better than a Stoic ideal life? Well, I wouldn’t speculate on Seneca’s inner motives, since we only have the record of his actions and what he said about his own thoughts. But I do think he did try to live like a Stoic. His principles were apparently important to him, and he did try to influence the course of events for the best (succeeding during the first five years of Nero’s rule). Also, I don’t think of Stoicism as a celebration of self-sufficient aloofness. On the contrary: Stoicism was very much a philosophy of social concern, and it began with recognizing the limits of one’s self sufficiency.